The ISST developed Akupaedia with Sound therapy (AMK, Berndsen/Berndsen) expands the reduced or blocked acoustic patterns, initiating a development pattern for a person with hearing weaknesses. Furthermore, the acoustic system broadly influences an activation process in the central nervous system (brain). Through AMK, objective measurable hearing improvements can be obtained. Many patients are able to discontinue their use of hearing aids after treatment. The continual need with such devices is no longer required because they find that their hearing has greatly improved or has reached an acceptable level. In differing experiments, other positive outcomes were shown: Increased attention span, concentration and productivity of the patients. At the same time, the AMK is effective on speech development and muscle tension of handicapped children. High blood pressure and Tinnitus (concerning Tinnitus, the AMK is supported with KVT Therapy) respond positively. Autistic and hyperactive children use AMK to influence perception capability and behaviors, generating a positive total development. In the AMK Therapy, the inclusion of mothers’ voices in the sound offering is necessarily left out because during experiments in which the majority of the patients were included, there were no differences seen in the restrictive sound offering. Considering wishes of the patient, the voice of the mother can be recorded and used without problem in the sound spectrum. Other differences to the Tomatis-Therapy are a continual adjustment to the sound spectrum, especially in frequencies of patient hearing and an offering of optimally determined and carefully chosen sound examples with minimal noise components. 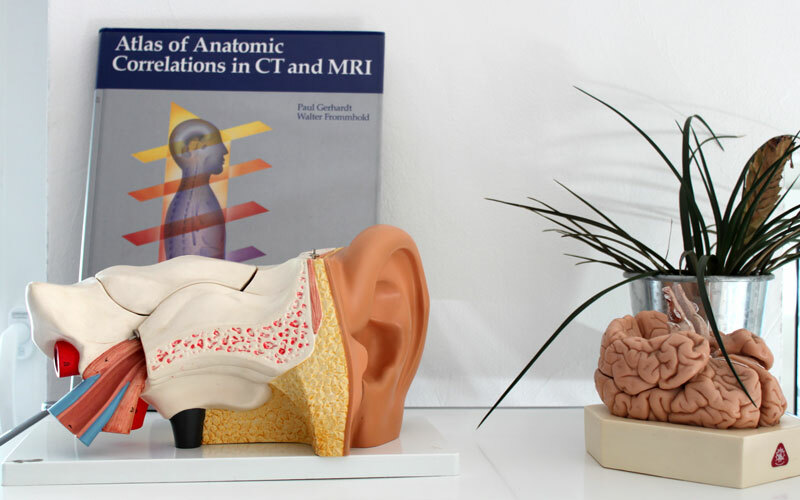 The creators of the AMK therapy, Dr. Klaus and Sabine Berndsen, were granted patents for this method in conjunction with a new hearing device technology.